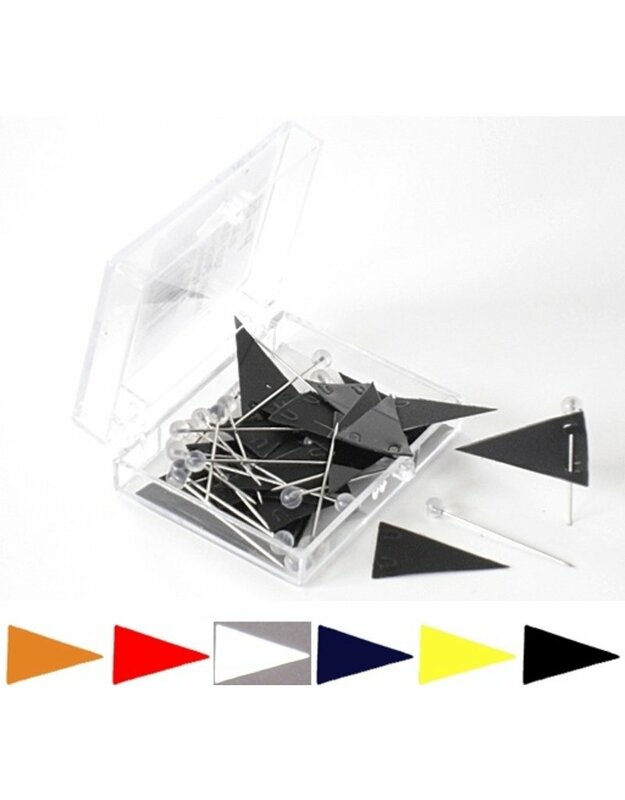 Moore Push Pin #P-600 Series 1 x 5/8 inch Pennant, 1-1/8 inch Point. Matte surface on one side can be written on. Pencil is erasable. 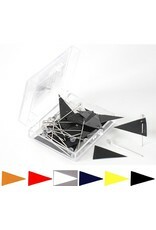 25 flags in clear plastic box.